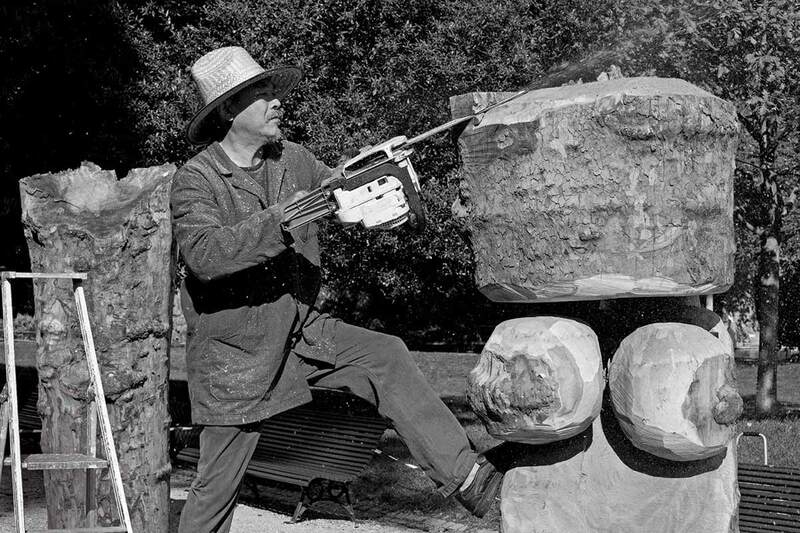 Why are there more sculptures of women than men in your work? In the history of sculptures, the female form has been the most important theme. In terms of the creating process, a woman’s form consists of a head, two breasts, then a stomach – it’s very rhythmic. A man’s form lacks this. So it is much easier to make a beautiful female figure. A man’s figure is often thought to be beastly and ugly, and it is more difficult to make an interesting male sculpture. In terms of galleries, most of them like to exhibit female figures, buy female figures, and even women like to place a female figure at home. Women in life are usually associated with kindness and charm, and men with power and vulgarity. Why are there people saying your work is influenced by African art? My sculptures are dark and made of wood, so a lot of people have the impression that my work is derived from African. But they are different to the eyes of people who know both of them well. Some people who don’t know art very well used to say to me, “Aha, your work has African style.” I didn’t bother to reject this, but just said, “okay, okay.” Do you know what I mean? They are totally different. But I take great interest in the origins of Primitive Art, not just in African art. The lower part of your works is mainly cylindrical. It this for simplicity’s sake? It saves trouble this way because that is what wood looks like originally. Although there is no legs or feet, you can tell that the figure is a complete woman figure. It is the same reason that I left out the nose, eyes, arms and hands. It would be so vulgar if the figure has all these details. It is simply an extract of a woman’s form, and shows it in a more conspicuous way. Have you discovered any new materials to work with? Last year I made a number of empty iron boxes with a slit in the shape of a mouth on each one. They have the size of a brick, and can be heaped as walls or floors, presenting infinite possibilities. They are abstract and can be associated with human beings, or otherwise. The boxes can be welded together for pillars, building, paving. I name them Eternal Smile – which I think is very auspicious.